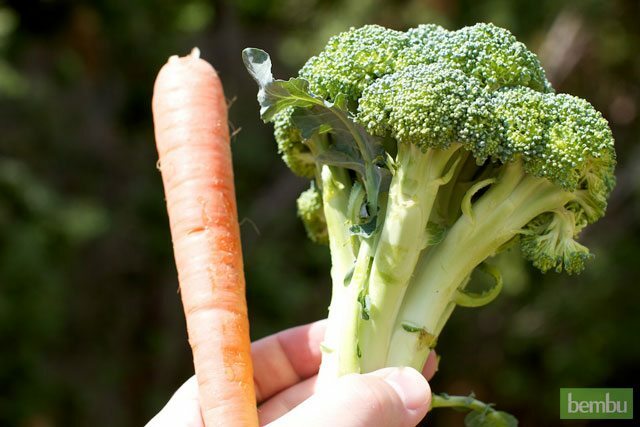 We look at which is healthier, carrots or broccoli by doing a side-by-side nutritional comparison. When given the choice between the two, which should you opt for in order to be at your healthiest? 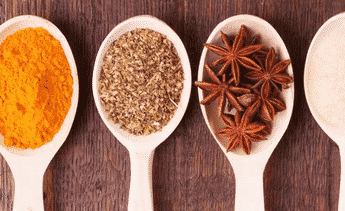 Here are the three metrics used by some of the most popular diet programs, so we’ll look at these first to try to get an idea of which vegetable comes out on top. Most of the time vegetables aren’t a concern in this area, which is why it’s often recommended to eat them in large quantities because they’ll fill you up without affecting your numbers too much. – A 100 gram serving of broccoli contains 0.4 grams of fat, 34 calories, and 7 grams net carbs. – A 100 gram serving of carrots contains 0.2 grams of fat, 41 calories, and 10 grams carbs. So both vegetables are virtually fat free, and are very low in calories. Low-carb followers would prefer broccoli over carrots due to the starchiness of carrots and the lower net carb count of broccoli. After one round the two are about even, so let’s see if we can get a clearer picture by looking at the vitamins they provide. In that same serving size broccoli will provide 148% of your Vitamin C for the day, while carrots will provide 334% of the Vitamin A needed daily. Carrots contain beta-Carotene, which is converted by the body into Vitamin A. Both of these vitamins will help boost your immune system, and both are vital to your body. Interestingly enough, carrots provide some Vitamin C as well, and broccoli provides some Vitamin A, so this could be a powerful duo to eat together. Many vegetables are a good source of minerals, and the best vegetables will contain an assortment of different minerals all helping the body function properly. This shows that they’re extremely close, but we’ve got to give the edge to broccoli here, because a few percentage points can mean the difference between making your mineral quota for the day, considering that you’re going to need to eat a varied assortment of foods all helping you with their mineral content. The fiber round is what usually what separates the men from the boys in the world of vegetables, so let’s see if it sheds light on our question here. With that same 100 gram serving we looked at before, broccoli yields 2.6 grams of fiber, while carrots come in at 2.8 grams. This is a negligible difference, and they are essentially equal in terms of the fiber they contain. This is somewhat surprising, as broccoli is often thought of as a vegetable that is high in fiber, while carrots do not enjoy this same reputation. Protein is not something you usually think about when you think about vegetables, but carrots and broccoli both contain it. This is where broccoli is able to pull ahead in terms of nutrition, offering three times more protein per serving than carrots. Broccoli contains 2.8 grams of protein while carrots have just 0.8 grams in a 100 gram serving of each. While this might not be enough protein to support a strength-training regimen and build lean muscle, it does factor into your daily protein requirement, and gives broccoli the slight edge it needs to win this showdown. 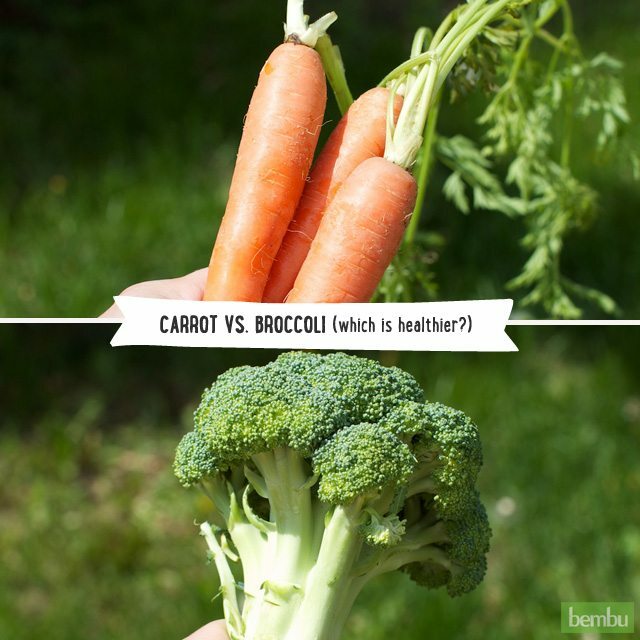 So far, broccoli and carrots seem pretty close when looking at their respective numbers and seeing how they stack up. But what really makes a vegetable healthy or not is how it furthers the body along and supports its proper function, both now and for the long-term. So what do clinical studies tell us about the benefits of eating carrots and broccoli. Broccoli is a cruciferous vegetable, in the same family as cabbage, kale, cauliflower, and Brussels sprouts. These vegetables have raised eyebrows among researchers due to the glucosinolates they contain and a possible link to anti-cancer benefits. Further studies on broccoli point to it being a heart healthy part of your diet. 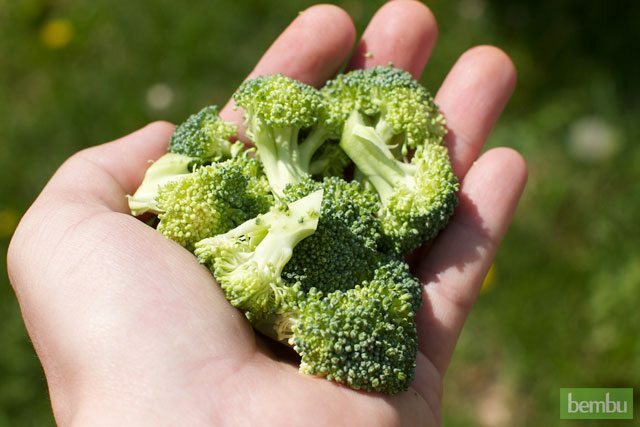 It’s been shown to help prevent hardening of the arteries thanks to sulforaphane, a substance that is found in higher concentrations in broccoli than its cruciferous counterparts. 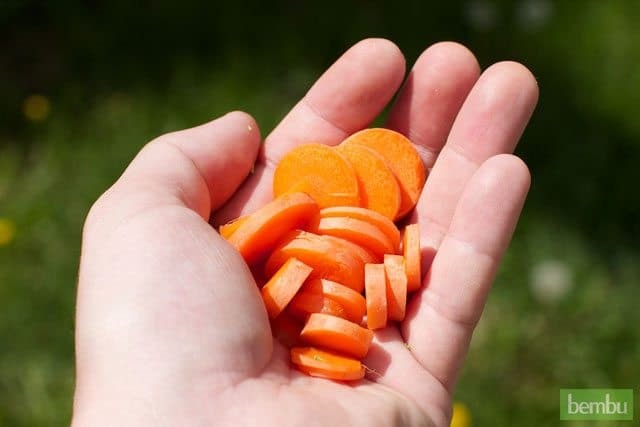 The beta-Carotene in carrots acts as a powerful antioxidant in the body, and studies have mostly concentrated on the benefit it provides to eyesight, backing up the common knowledge that carrots are good for the eyes. One of these studies shows specifically that beta-Carotene supplementation had a positive effect on age-related macular degeneration, among several other studies showing how it helps with a variety of conditions. Not to say that carrots are a slouch, but helping to prevent cancer has to rank higher than most every other benefit, giving broccoli the edge in this round, and essentially the overall victory. 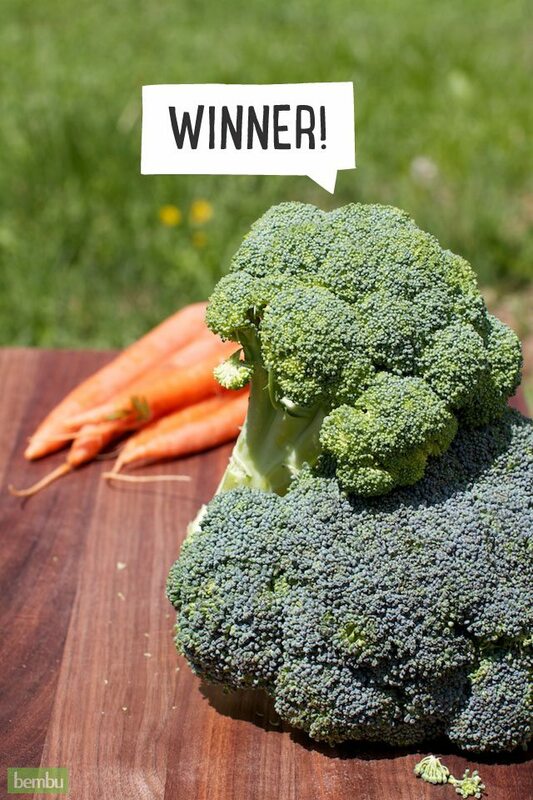 In terms of public opinion, broccoli is the clear winner when it comes to overall healthiness, but as we’ve shown here the contest isn’t as one-sided as most would imagine. 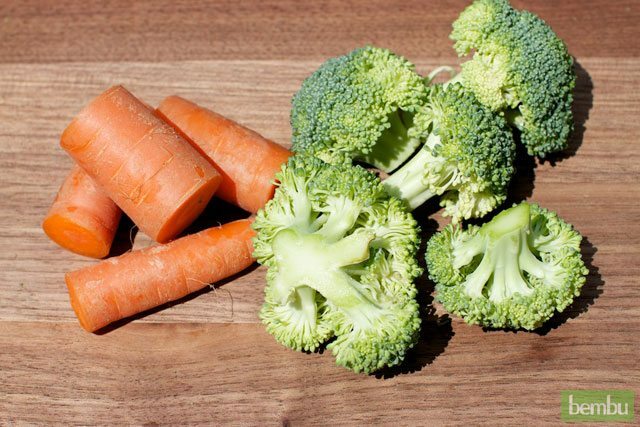 The beta-Carotene provided by the carrots makes a compelling case, but in the end it’s broccoli that comes out on top, with its unique mix of vitamins, minerals, fiber and protein putting it just ahead.